The public record can be a painful thing. In the case of the new Yankee Stadium and Citifield it shows that Mayor Bloomberg killed the original Rudy Giuliani pan to spend $800 million on new ballparks. He said they were too expensive, Charles Bagli reminds us in today's Times. Then, he came up with his own plan for the teams to pay for their own stadiums with the city paying for infrastructure and the like. Quoth the Mayor: "We don’t do subsidies. The city is getting paid back at a profit." Well, the teams paid about $2 billion for the stadiums, but the city's infrastructure costs have skyrocketed to about $458 million. The state is kicking in $201 million. This doesn't include $480 million in city, state and federal tax breaks. Or the free rent and lack of property taxes. The monstrous costs of the stadiums has led to Congressional hearings in Washington into the use of tax-exempt bonds and led to more of the (longstanding) questions about the public benefits of such facilities. 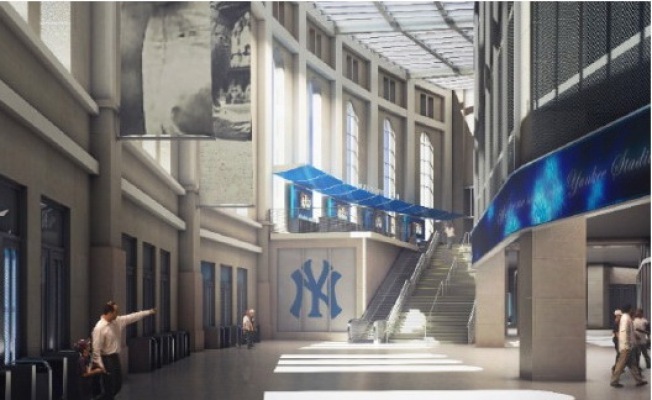 The current cost of the Mets’ project is about $900 million and the Yankees project will be more than $1.7 billion. On the other hand, Brooklyn might get a $1 billion basketball arena, so maybe everybody should just lighten the heck up.